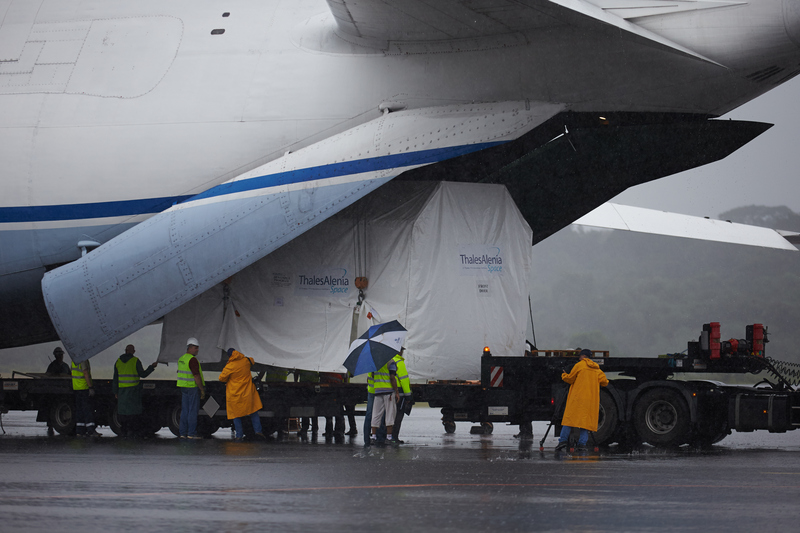 Marking the beginning of ESA’s next launch campaign for an Earth observation mission, the Sentinel-1 satellite and its support equipment arrived safely in French Guiana yesterday. Over the next weeks, we will be preparing this new radar satellite for launch, now set for 3 April. 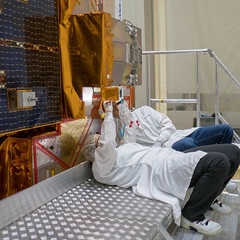 Sentinel-1 is the first mission dedicated to Europe’s environmental monitoring Copernicus programme. It will deliver timely information for numerous operational services, from monitoring ice in polar oceans to tracking land subsidence. After around seven years in the making, it is now time for the last steps – to get it ready for launch from Europe’s spaceport in Kourou, French Guiana. The launch site is known locally as the Centre Spatial Guyanais (CSG). The advance team arrived last week to set up the infrastructure we need to carry out the campaign. On Friday, this culminated in the first official daily meeting with CSG in preparation for the arrival of the satellite on Monday 24 February. 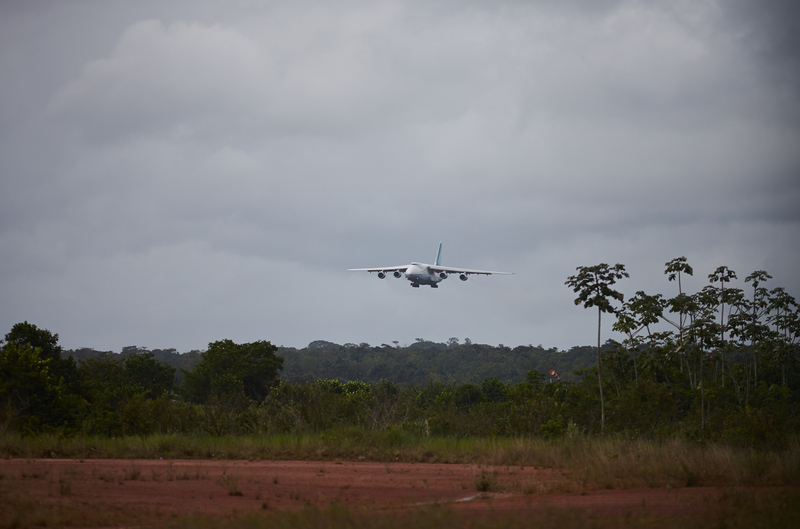 So, at 10:15 local time on Monday, the Antonov carrying Sentinel-1 arrived safely in Cayenne. It was greeted with pouring rain. 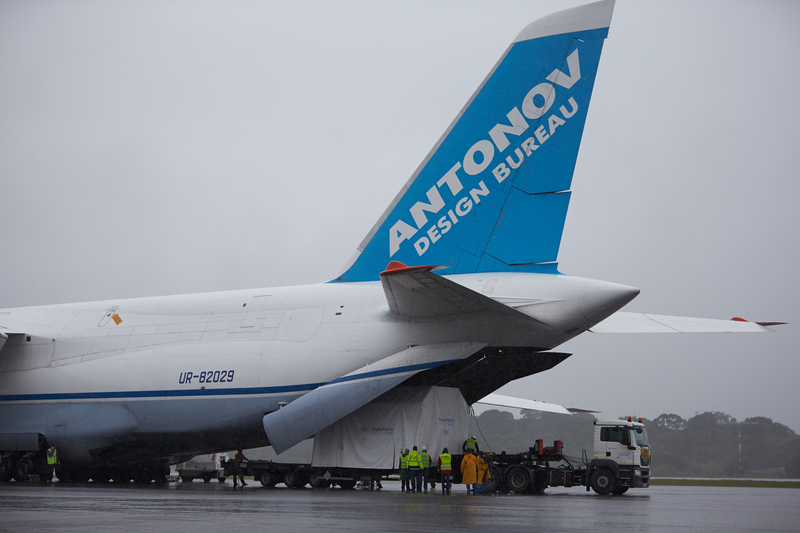 Watched by the ESA team, the cargo was offloaded by staff from CSG, from Thales Alenia Space and the Antonov crew. 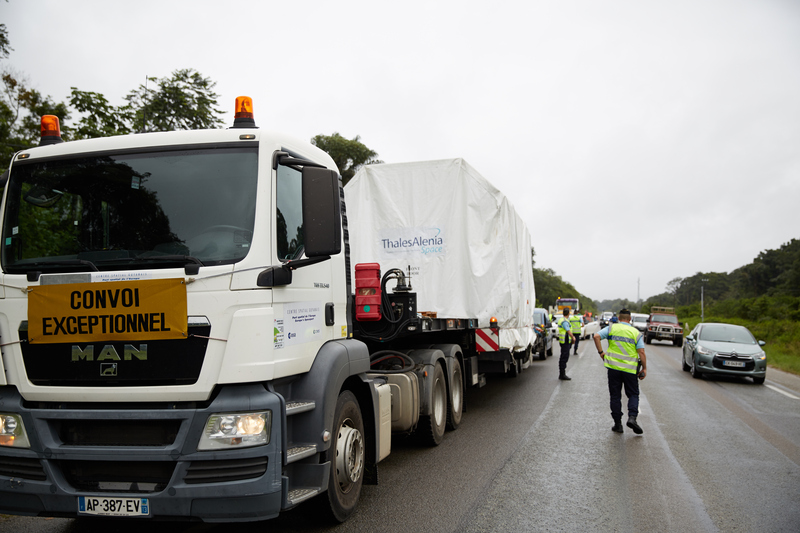 Just before 14:00, the convoy set off for CSG in Kourou. It made four scheduled stops: two to check on the satellite container’s ‘environmental conditions’ and another two were to allow traffic to pass the large convoy. Along the way, locals were excited to see the convoy and took photographs! At 16.30 we arrived at CSG’s facilities and offloading commenced. The satellite then had to be left in the airlock to stabilise after its long journey. Anyway, we can safely say that the Sentinel-1A launch campaign has officially started and the whole team are looking forward getting on with preparing it for liftoff.